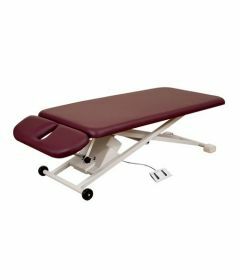 For physios who practice in clinical settings the treatment table is probably the most used piece of equipment in their practice. 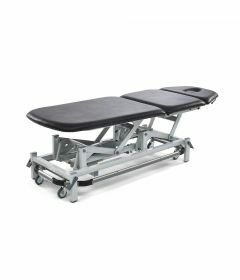 A good treatment table not only has to measure up to basic technical features, it should also be comfortable for patients and provide the opportunity for therapists to optimize their treatment in a safe and ergonomic way. 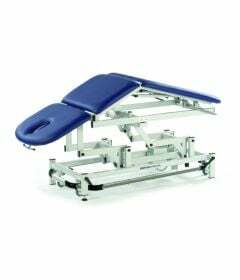 Our professional staff at OrthoCanada understand this. 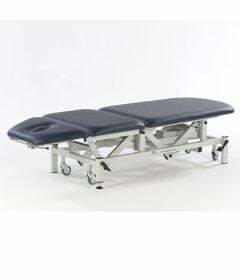 Many of them are physiotherapists and kinesiologists who worked in rehab clinics and their expertise when it comes to treatment tables in Canada is unmatched. 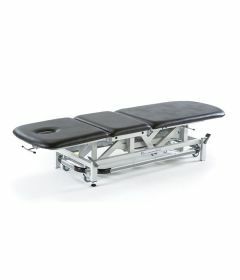 Our treatment tables for mobilisation and manual therapy techniques come from different sources, including Seers Medical, Cardon Rehab, Armedica, Oakworks, Hausmann, Clinton and many more. 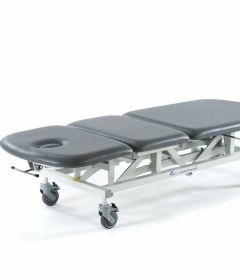 Our models range between 1-Section, 2-Section, 3-Section, 5-Section and 7-Section tables. 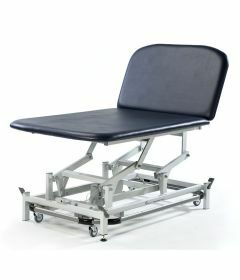 We carry fixed-height physio tables, electric hi-lo, and hydraulic hi-lo tables. 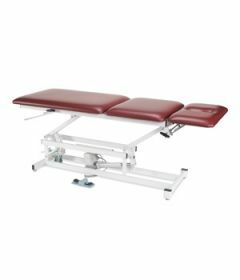 Which is our most popular model of treatment tables for physiotherapy clinics? 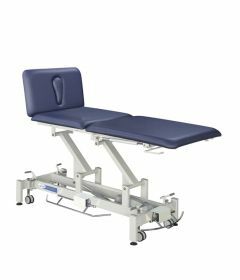 Year after year, the 3-Section Mobilisation Treatment Table with 90 drop and perimeter foot-switch by Seers Medical (V-335) is our best seller in both private clinics and public institutions. 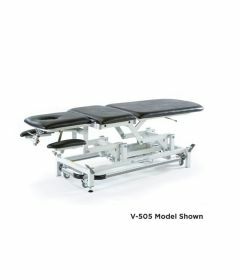 The V-335 was designed by Canadian manual therapists looking for reliability, ergonomics and function. 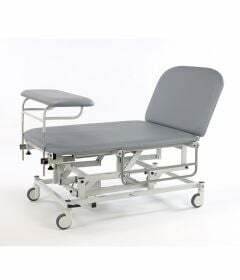 It comes with the best warranty in the industry, includes an anti-microbial upholstery and frame, is mounted with a TiMotion motor, and offers one of the best return on investment in the industry. 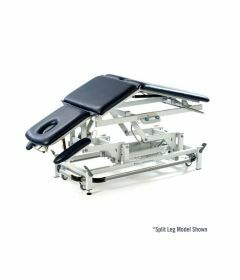 If you would like to 'kick the tires' we invite you to make an appointment to visit one of our showrooms in Waterloo, Ottawa-Gatineau and Vancouver. 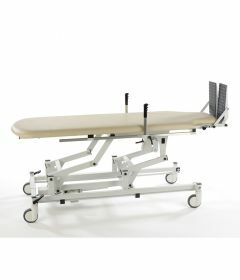 If you would like assistance in choosing the most adequate treatment table for your practice, or if your would like to get answers on pricing, financing, regulatory or logistical issues you can talk to one of our specialists at 1-800-561-0310.